After making the switch to TB Kart Australia at the start of the year 2015 has become a very successful one for Western Australian Jake Klarich. The 20 year-old secured the victory in the FMA Motorsport WA KZ Series and also finished runner-up in the Australian Kart Championship. After a fantastic season, Klarich has been provided an opportunity to race at the 2016 CIK-FIA Winter Cup at Lonato, Italy on the 19th – 21st of February. This is a highly competitive kart race that kicks off the European season with 68 drivers lining up in the KZ2 category this year. The opportunity, which has been provided by TB Kart Australia and TB Kart Srl Italy, Klarich will have a spot inside the TB Kart Factory Team. “I’m super pumped to head back over to Europe for a huge race meeting in the KZ2 class. I have never raced KZ2 internationally at that level, so to be given this opportunity to contest against some of the best drivers in the world is incredible. 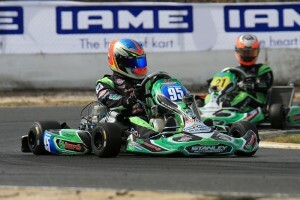 I’m very thankful to TB Kart Australia and TB Kart Srl,” said Klarich. TB Kart Australia’s Team Manager Tim Stanley is also very excited about the European outing, “It has been an amazing year with some outstanding results and we feel that it is the right decision to partner Jake with the factory for a shot on the International Stage,” said Stanley.